Fishing into the Future instigate a process of co-design with the channel scallop industry, where we were confident that, by working together, fishermen, scientists and regulators involved in this fishery would be able to define the protocols for a long-term monitoring and assessment process. This would be able to provide for a meaningful long-term biological stock assessment for the future of the fishery. When initiated, this project was operating in the absence of wider buy-in. By the end of the process the collective efforts of all involved had resulted in the establishment of a wider Project Steering Group and larger-scale project that is now running independently from the work of Fishing into the Future. A summary of this larger scale project can be found here. Fishing into the future sought to establish a suitable arena within which fishermen and scientists could work effectively together on the issues and obstacles to be addressed if a workable survey – involving representative boats from the Channel fleet – was to be a success in the long-term. The Western Channel scallop fleet was suffering from a lack of formal stock assessment as this increased the risk surrounding this fishery from the point of view of the supply chain. To improve market access, as well as to define better management interventions, a full stock survey was going to be needed. The Channel scallop fishery had been involved in collaborative science projects before, working with Cefas and Defra on the notorious ‘Red Bag’ scheme. This contained some good elements of co-design but fell foul of lack of funding, and support from the industry. There was insufficient buy-in to the process by the boats who needed to participate in the research, rendering the sample size too small to enable a reliable stock assessment. 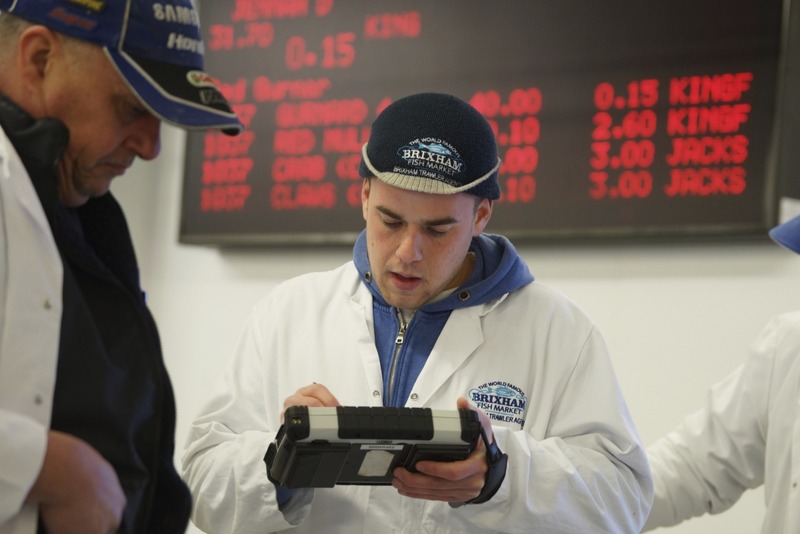 The fishery remains hugely valuable, but without a stock assessment this was being compromised. 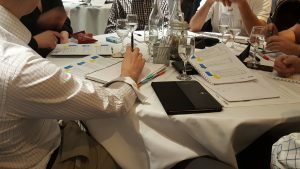 Scientific officers from Cefas recognised that co-design of a survey would overcome some of the obstacles encountered in the ‘Red Bag’ project and this process was initiated by FitF. Fishing into the Future – in close partnership and under the watchful eye of the inspiring scientists from Cefas – delivered a short series of focused workshops in tandem, and with the full support of, representatives from the Channel scallop fleet. This provided the impetus and incentive for the birth of a wider project, which has been described as “one of the most collaborative and innovative science and industry projects I’ve seen” by the Chair of the Project Steering Group for the King Scallop full biological stock assessment project. It has been noted that the early work of FitF and Cefas at the start of this process were crucial in setting the tone and direction for the larger project. 2018 and 2019 will see the implementation of a full survey based on the preliminary findings of the King Scallops Primary Assessment process. 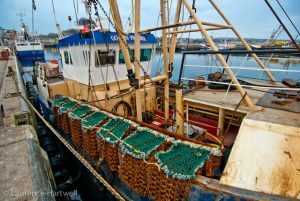 This will provide the beginnings of a long-term data set for a full stock assessment, and overcome the major hurdles that have so far beset this valuable sector of the UK fishing industry.